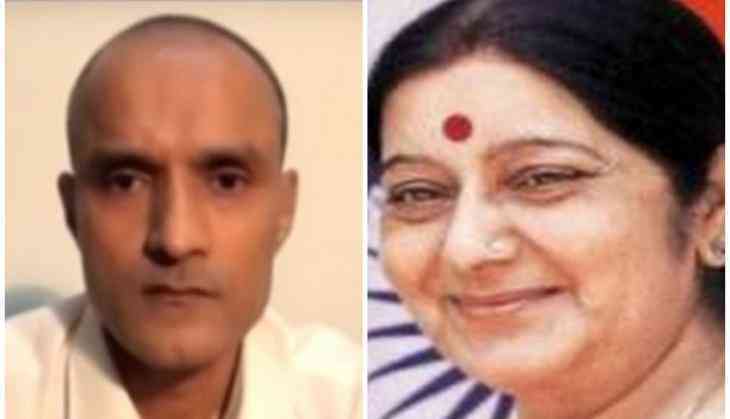 With the International Court of Justice (ICJ) putting a stay on Kulbhushan Jadhav's execution, the Ministry of External Affairs (MEA) on Wednesday hailed the precision and the legal action taken by External Affairs Minister Sushma Swaraj in the matter. MoS (External Affairs) V.K. Singh told ANI, "ICJ's approval to our stand proves that India was always right in saying that Pakistan was unnecessarily playing politics by giving a penalty of death sentence to Indian national Kulbhushan Jadhav." Singh applauded External Affairs Minister Sushma Swaraj for putting her special attention on this matter. "First and foremost we should all compliment our external affairs minister Sushma Ji for taking very keen interest and a great concern she has exhibited," Singh said. "Swaraj called all people who could give legal advice, she herself is a lawyer and based on the legal advice we were able to file our petition to the ICJ and they have agreed to our stand," he added. Following, Swaraj remarks in Rajya Sabha, Singh echoed similar sentence saying that there is no evidence of any wrongdoing by Jadhav, adding that this is an act of premeditated murder. Jadhav, who was arrested in March last year by Pakistan and accused of espionage, was sentenced to death by a Pakistani military court triggering tension between India and Pakistan.